Horror movies are a popular and entertaining part of American culture. Many people like to watch scary films because they enjoy being scared and frightened by knife wielding maniacs, blood sucking vampires, flesh eating zombies and supernatural beings. Even though horror movies offer people a fun and exciting way to be amused by ghosts and monsters, some individuals take their love of horror one step further by wearing costumes of their favorite horror movie personality. Here is a list of 10 of the scariest horror movie costumes. The Exorcist is considered one of the greatest horror movies of all time. One reason as to why this film received such a high honor has to do with Linda Blair’s demon possessed character Regan. She terrified audiences for many years when she twisted her head and neck around so that she could look backward at a startled young priest. Most Halloween and costume shops do not have disguises featuring Regan’s character. Some costume businesses can special order this disguise for people who are interested in this movie personality. Make-up artists can also help people to look like Regan as well. The premise to the Grudge movie is a frightening one because a young wife and her son were killed by her husband when he suspected her of adultery. The husband killed himself and when the family died they lost their lives while in a fit of rage and extreme sorrow. So now the family comes back with a fury against anyone who lives in their home. The young wife who is named Kayako is an extremely benevolent evil spirit. Kayako spends a great deal of time throughout the film haunting and slaying her victims. Kayako Grudge costumes are available for wear but many of them have to be specially ordered. 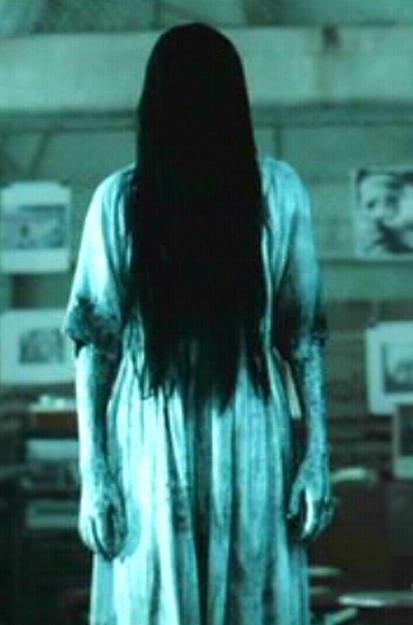 Samara is the dark sinister being that stalks her victims after they watch a videotape in the known as the Ring. This particular film was a box office hit in the early 2000s. 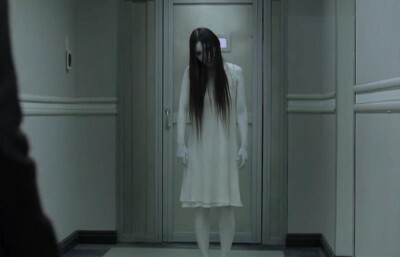 Samara the antagonist in the story crawls out of wells in a video and when she does she crawls right through the screen of a television set to claim her victims. Samara costumes are available at some costume shops though they’re not in high demand. America’s favorite doll slashing maniac is a popular costume that is worn by children and adults alike. People like Chucky even though he’s a satanic serial killer trapped inside of a “Good Guy” doll’s body. Chucky costumes are very popular during Halloween. Pinhead is the leading demon in the Hellraiser franchise movies. His specialty is torturing his victims with pain. 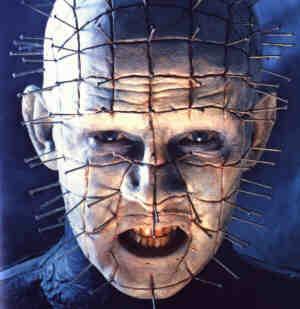 Pinhead get’s his name from his unusual look which consists of tiny spikes sticking up out of his head through sectioned parts of his scalp. Pinhead’s look is original and very frightening. Costume shops do carry versions of Pinhead’s disguise. Some specialty shops also carry merchandise on some of the other demon’s who appeared in the various Hellraiser franchises. Zombies are undead creatures that have their origins in Africa but have become extremely popular in America. The highly regarded television program called the “Walking Dead” has taken zombie lore to a whole other level. Zombies have become a popular costume for people to wear and many people done zombie disguises all throughout the year and not just during the Halloween season. They are also worn at many public and publicity events. Out of all the traditional monster movies that Hollywood has created over the years, the films about vampires still remain strong. Creatures such as Frankenstein’s monster and the mummy are not as popular they were in the past. 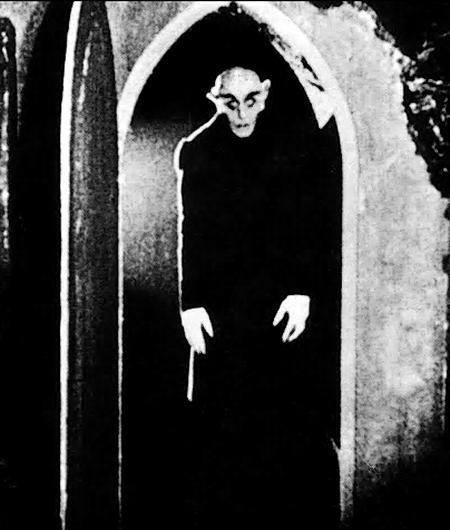 In the past vampire outfits looked more sinister and evil and Nosferatu was an old fashioned vampire which had a hideous looking appearance. Vampire costumes can be purchased or made at home. Many of the modern day vampires in films look and act more like everyday people than evil creatures of the night. Movies such as the Twilight and Underworld franchises have influenced the modern look and appeal of vampires. Manufacturers might not make too many Nosferatu vampire costumes like they did in the past, but they still can be found in some specialty costume shops. The Scarecrow is a Batman villain that wears a ragged stitched scarecrow mask. He uses drugs which causes hallucinations and employs psychological tactics to subdue his enemies. The Scarecrow lives to derive fear from people and he makes it a point to use this fear against them to serve his own evil purposes. Scarecrow costumes are available for purchase. The movie Silent Hill was an extremely disturbing and horrific film. The film takes place in the city of Silent Hill which is haunted by an oversized sword wielding spirit, crazy cults and demonic nurse figures that are missing various parts of their bodies. The nurse figures have an original appearance and they move in a strange and unusual manner. They have the ability to slash their victims to death. All of the nurses display different deformities and costume manufactures have created some of the more common types. The costumes are can be obtained from shops and stores that offer this type of disguise. 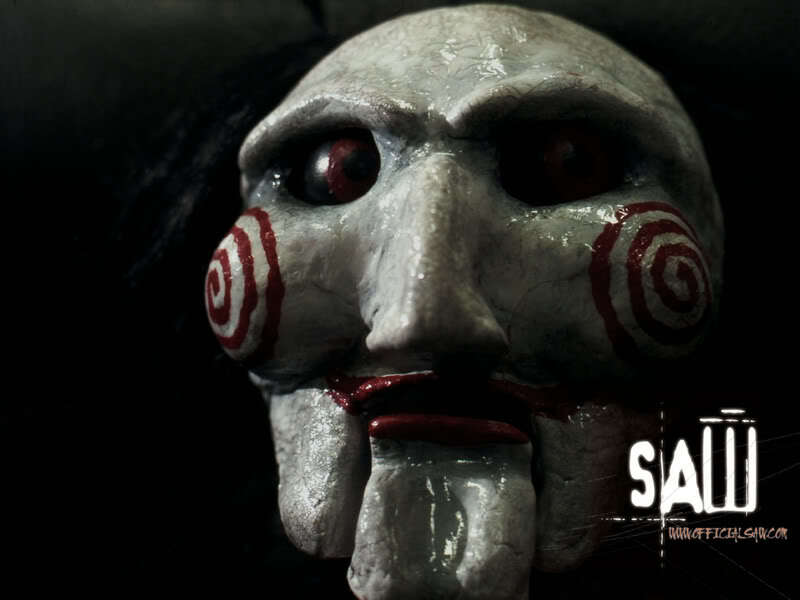 The Saw movie franchise dominated the 2000s with eight films that featured an intelligent but insane serial killer named Jigsaw. What made Jigsaw such a fearful person to contend with are his views about life and death. He used unusual traps and devices to force people to question their existence and to determine if their lives truly good or totally evil. One of the ways that Jigsaw managed to evade the police and his victims was by using a crazy looking large sized doll named the Jigsaw Puppet to relay information about his demands. The Jigsaw Puppet looked like a big dummy that a ventriloquist would use except he has a more sinister appearance. This costume is available for purchase at costume shops and some retail outlets. These are the 10 scariest horror movie costumes that can be entertaining, fun and exciting to wear during Halloween or at a costume party. Is Your Neighborhood Too Noisy? Add Music!